Planet Hanyu Banner Contest - VOTE! Poetry thread, a place to wax lyrical about the wonderful Yuzuru! 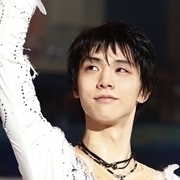 Who have you tried to convert to a Hanyu fan?